I love this box!! Its unique in every type of way. Exquisite smoke, taste and look. Very pleased. 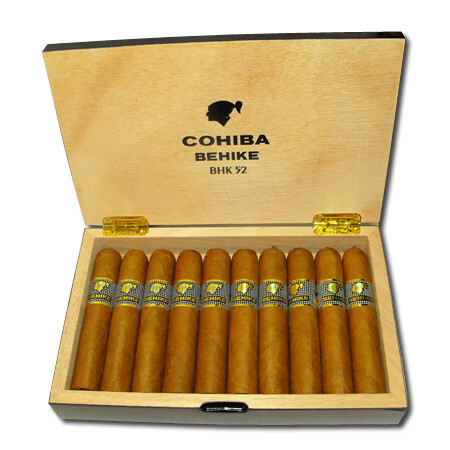 Very hard to finds Cubans especially in the USA. Glad they ship to California. 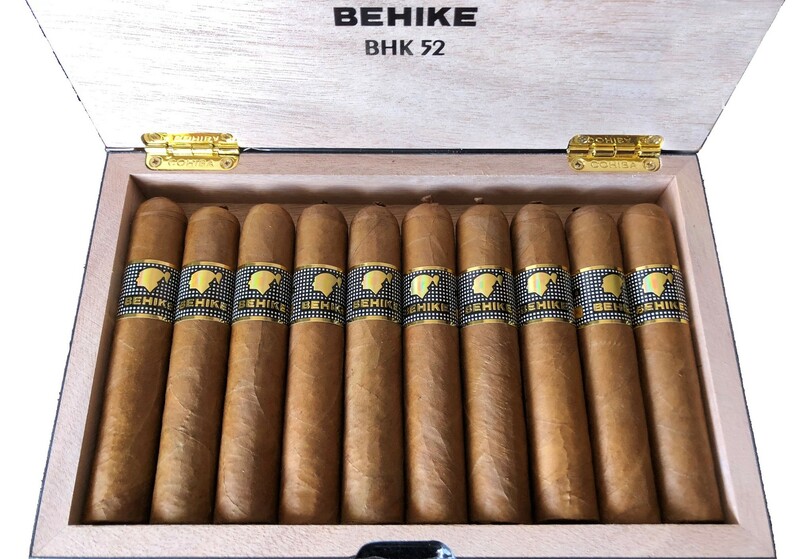 Everything checked out upon arrival so these are genuine Cubans. Thank you! 100% genuine, amazing service! Very pleased with my experience. Thank you for your positive feedback, we are here at your service and pleased you enjoyed our products, only the best for our beloved customers. Marilyn Spencer. Thank You so very much! Gov. Stamp UPC was verified. Broke the seal and opened an amazing box. 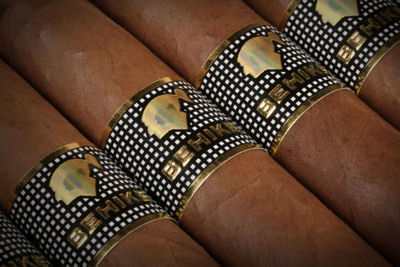 Inspected great cigars! Amazing price compared to anyone else. 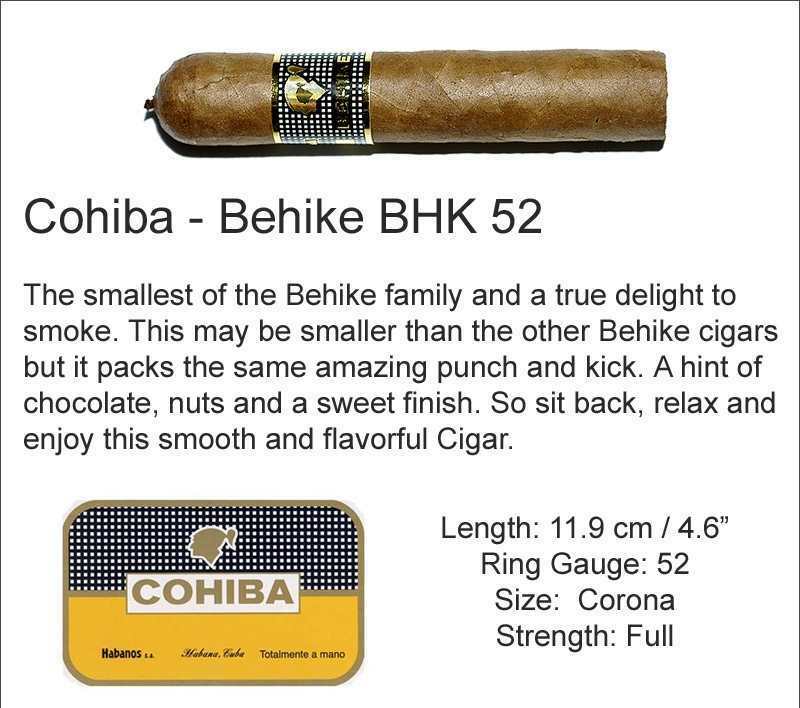 I have nothing but the best to say about your product and service.Cohiba Behike 52 BHK are the best!!!! I already tried them and I loved their aroma and texture, thank you very much. The quality of the product is noted. Everything is ok. Excellent product. There is a good quality price relation. My father loves it. Good product I recommend, at a good price and great quality.